If you are an executive or a vacationer, Charter Flight Group is in business to arrange charter flights for your private air travel to and from Corpus Christi. If you expect private luxury air travel, we provide it on the very finest and newest private jets available today. If you’re going to Corpus Christi and your time is short, only traveling to attend a meeting and then get back to the office or home, we can get you in and out of the airport in record time. If you are traveling on a charter flight strictly for pleasure, we can get you to your destination in a private jet that guarantees your safety, privacy, and comfort.When you rent a private jet from Charter Flight Group, you have access to hundreds of different models and classes of charter flight planes. Our thirty years of experience flying private charter to and from Corpus Christi, Texas, enables us to get you where you need to go conveniently and efficiently. As one of the leaders in private jet aircraft charter services, we can secure a flight for you on just about any kind of private jet plane, even with just a few hours notice. We have literally thousands of aircraft at our disposal around the world. Whatever you need, we can get it for you. Our representatives will discuss the passenger and scheduling requirements with you and help you determine what type of jet flight jet you need to fly to Corpus Christi, Texas. We have turbo prop jet planes like the Jetstream 31 and the Merlin III jet, light charter jets like the Citation Bravo and the Eclipse 500 jet, mid-sized jets like the Falcon 50 and the Sabreliner 60, and heavy jets like the Falcon 7X and the Gulfstream GIV. 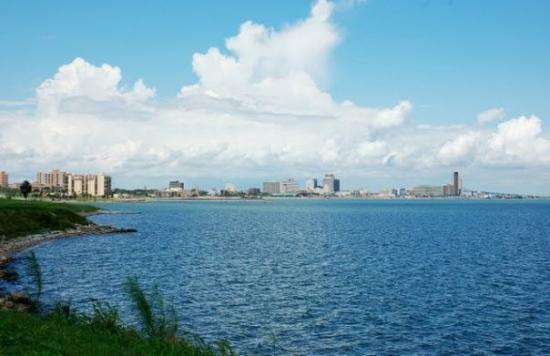 If you have a large group traveling to Corpus Christi, we can accommodate them on a charter airliner like the Boeing 727 VIP or the Boeing Business Jet. For those travelers who are not on a tight schedule, we can offer one-way and empty-leg charter flights. The Federal Aviation Administration (FAA) Part 135 requires all charter flight aircraft to comply with stringent safety standards dealing with operations, maintenance, and licensing. We have a 100 percent safety record, which means a lot to us, our flight personnel, and our clients. We are serious about maintaining our impeccable record and always insist on third-party safety inspectors to check all of our and our global partners’ private jets. 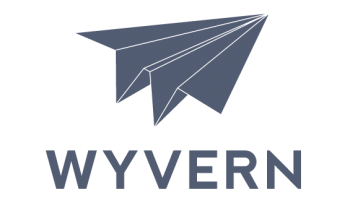 We utilize the services of the Aviation Research Group of the United States (ARGUS), and WYVERN for all of our private charter aircraft. Corpus Christi International Airport (CRP) is five miles west of the Corpus Christi business center in Nueces County in South Texas. Access to Corpus Christi is via State Hwy 44 (International Drive Exit) to Hwy 358 (South Padre Island Drive), and then north on I-37. Approximately 700,000 passengers pass through the gates of Corpus Christi International Airport annually either on business or for vacation. Meetings rooms are available in the airport’s conference center to rent by either the day or the hour. Seating capacity is from 25 to 40, and if needed, audio-visual equipment and catering services are available upon request. If you chartered a flight and want to stay at a hotel close to the airport, you might try Windwater Hotel, Holiday Inn Airport Conference Center Corpus Christi, or Plaza Inn Corpus Christi. All are less than three miles from the airport. 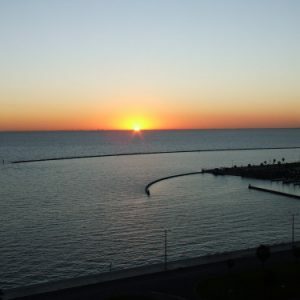 When your private flight flies to Corpus Christi, it is taking you to the perfect vacation spot. With its beautiful city and island beaches, you can soak up the sun, people-watch, swim, or build a sand castle. Both children and adults will enjoy the Texas State Aquarium, Padre Island National Seashore, South Texas Botanical Gardens & Nature Center, the Art Museum of South Texas, and Whataburger Field. The list goes on. Why Choose Charter Flight Group for your Private Jet to Corpus Christi? The representatives at Charter Flight Group are available 24/7 to provide you with optimum services before, during and after your flight to Corpus Christi. With only a few hours notice, we can secure a corporate air jet flight, or a luxury private jet to wherever you want to travel in the world. Because of our steadfast commitment to safety, we use only the most experienced pilots and all of our maintenance personnel are screened, certified experts. Luxury, comfort, safety, convenience, and efficiency are what you should expect from your charter flight agent. We are 100 percent confident that you will find Charter Flight Group the perfect choice for private air travel.